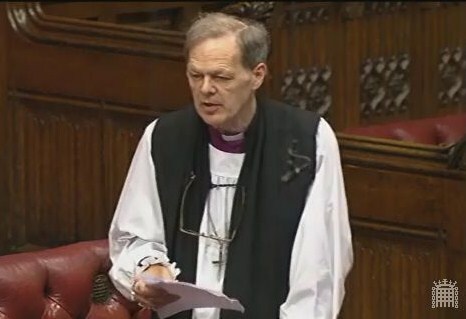 The Lord Bishop of Lichfield: My Lords, I congratulate the noble Lord, Lord Aberdare, on introducing this important and timely short debate. I welcome the national plan for music education, which emphasises the importance of music and the creation of music education hubs in this country, I also welcome the fact that the report has taken note of the recommendations made in the Henley review, perhaps the most comprehensive and thorough review of the state of music education in England for many years. I thank the noble Lord, Lord Berkeley of Knighton, for his support of church music as well. There are many benefits in the national music plan, some of which we have already heard about. In particular, it gives an overview of funding aimed at providing a more efficient and equitable system than the one which has traditionally been used. Funding is now weighted for deprivation and allocated on a per-pupil basis rather than the traditional postcode lottery operated through local education authorities. These hubs provide an innovative and interesting method of co-ordinating music education and development between pupils, schools and communities. It fosters the kind of networks that are necessary to develop a thriving local music scene, and there are clear targets which everyone can understand. These are all good things; in theory they are extremely encouraging, and indeed I am encouraged. I welcome them wholeheartedly. However, I agree with noble Lords who have used the word “patchy”. In my own diocese of Lichfield, the issue about the hubs is that they are often spread too thinly over very large areas, making it difficult for them to be effective. The Lichfield hub reaches right across Staffordshire and teams up with surrounding hubs in Shropshire and the Black Country. While the hubs themselves are a good thing, and the targets they are to be held accountable to are clear, they do not cope well with the sheer number of children they have to deal with on a regular basis. Although the national music plan ring-fences spending on music education, all noble Lords who spoke before me in the debate cited figures that reveal a recent massive decrease, which somewhat undermines any attempt at planning for the future. More reliable help is needed in this department. We have heard that numerous studies have been conducted over recent years which show the benefits of singing, playing and listening to music not only to general health and well-being, but also to an individual’s mental health. Given the Government’s interest in improving the well-being of the public, perhaps I may suggest that increasing access to music and encouraging participation in performance would be one of the simplest and most effective ways of improving the physical and mental health and well-being of the whole population. Programmes run by the cathedral, such as the choristers’ arts programme and the MusicShare concerts, along with the curriculum singing days over the year, make improvements in behaviour, cognitive ability and language plain to see. I offer a big thanks to people such as my director of music at the cathedral, Cathy Lamb, who is for so many people the Gareth Malone of the area, opening up possibilities that they hardly dreamt of. Music is not just a cultural tradition. Having the opportunity to participate in regular music events enables children to grow in self-confidence. That is the trouble with cutting funds. Over the past year it has been noticeable in Staffordshire that the reduction in availability of the Sing Up campaign has generated a marked deterioration in the general ability of children and young people to engage with and understand music. As cuts are made, the success of instrumental learning and one-to-one music lessons is diminished, which significantly affects the opportunities for students to progress. Recognition of the importance of music in education and for general well-being is essential if it is not to return to being seen as elitist, where only those with surplus money can afford lessons. The benefits of a high-quality music education for children are numerous and significant, and of particular use for those from disadvantaged backgrounds. If we intend to make any alterations to the national music plan, they should be in the form of an increase in the number of hubs as well as an increase in the regular means of funding for them. This would help to resolve the problems experienced by our local hub in Lichfield. The national plan for music education in schools is not just viable and financially sustainable in the long term, it is, as other noble Lords have said, absolutely necessary for healthy and happy education. It should be extended and improved to help build a happy and prosperous society, where children of all backgrounds can appreciate the benefits of a high-quality music education. Given the interest in the long-term viability of the national music plan which this debate demonstrates, perhaps I might suggest that there be a review of the effectiveness of the national music plan so that its practical implementation can be better understood and improved. Without music, particularly without music in worship, we are only half human. Our children deserve their schools to open the treasure chest for them afresh in each generation.